Amnesiac Yuta Hibiki one day encounters Hyper Agent Gridman inside an old computer. Gridman tells him that he needs to fulfill his mission. While sorting out what that all means, a giant monster attacks his city. Yuta then discovers he can merge with Gridman to fight the monster, but once it is done, everyone’s memories reset and the dead are forgotten. If you crave a mecha story that is less anger and drama and more like the mecha stories of old, then SSSS.Gridman is a gem. For more anime recommendations like SSSS.Gridman, head on down below. 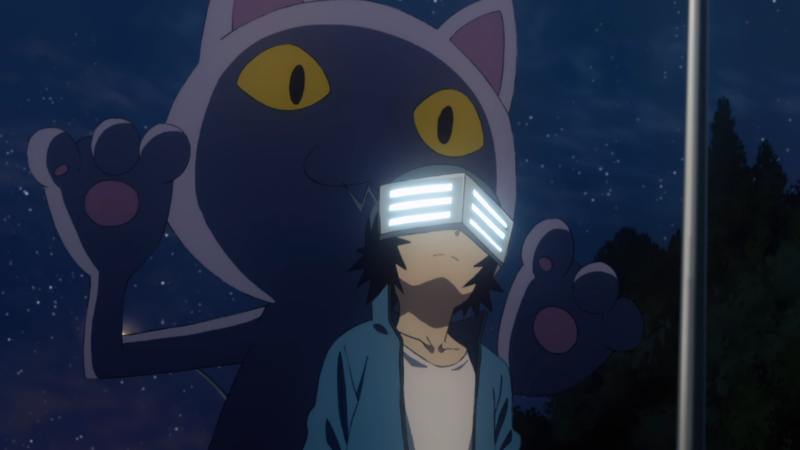 Despite not having memories of his past, Souya lives a peaceful high school life. However, one day his town is threatened by huge objects floating in the sky. Conventional weapons are useless against them, but the 7 heroes charged with defending the city emerge in their mechs and head into battle. Souya, too, finds himself drawn to battle, but not against the objects, he is drawn to fight the heroes. 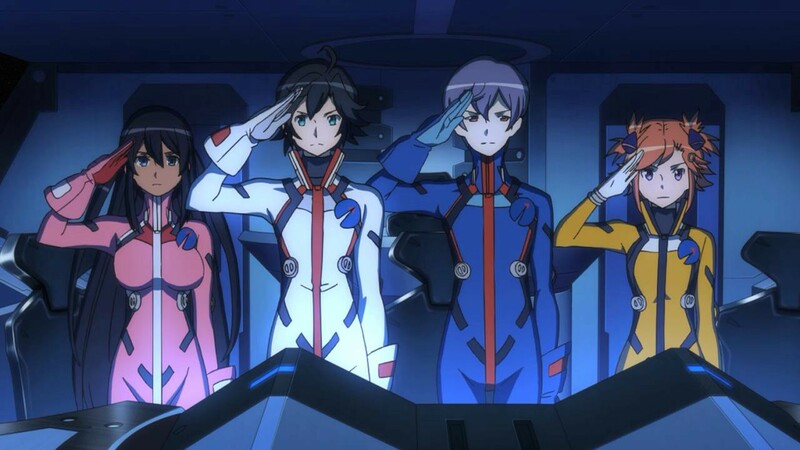 Despite Planet With sounding like it will have a more serious plot, like Gridman it keeps closer to classic mecha roots and stays pretty upbeat while doing it. It also happens to focus around a kid with a foggy memory and he’s not quite sure why he is fighting at first. Before his summer vacation starts, Manatsu Daichi sees a weird rainbow in the sky and goes to check it out. When he arrives, a strange alarm is going off and mysterious people ask him if he is the captain they have been waiting for. He accidentally says yes and suddenly he is fighting robots in defense of earth in his own robotic defender. While not an amnesiac mystery, there is a mystery surrounding the main character in Captain Earth like in Gridman. Furthermore, since it surrounds younger characters in both shows, the anime series ends up action-oriented, but doesn’t go to dark places. Renton seeks a life of adventure, but his grandfather’s insistence that he becomes a mechanic keeps him firmly planted at home. His only escape is a pastime that rides Trapar wave particles in the air akin to surfing. One day, adventure literally crashes into his house in the form of a Light Finding Operation piloted by a mysterious girl named Eureka. As a member of the mercenary group Gekkostate, Renton suddenly finds himself intertwined in a whole new life. Eureka Seven can be a bit darker at times, but like Gridman, you follow a younger, sort of dorky kid that discovers his true purpose in life. 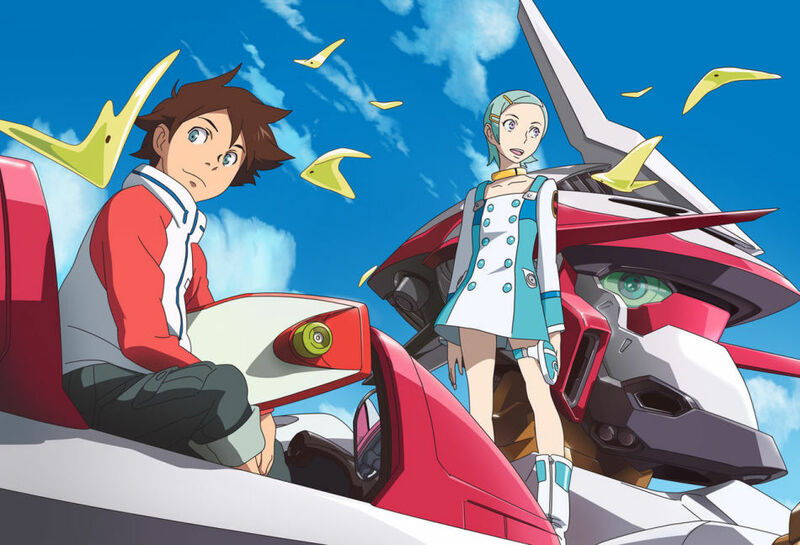 In Eureka Seven his destiny is genealogically based rather than an amnesia mystery, but it is a fun romp to watch him discover his family’s history. In the distant future, the land is ruined and humanity now lives in the mobile city, Plantation. Inside, they are defended from massive life forms by children raised from birth to pilot robots called Franxx in boy-girl pairs. This story follows Hiro, once a prodigy, and now a failure. 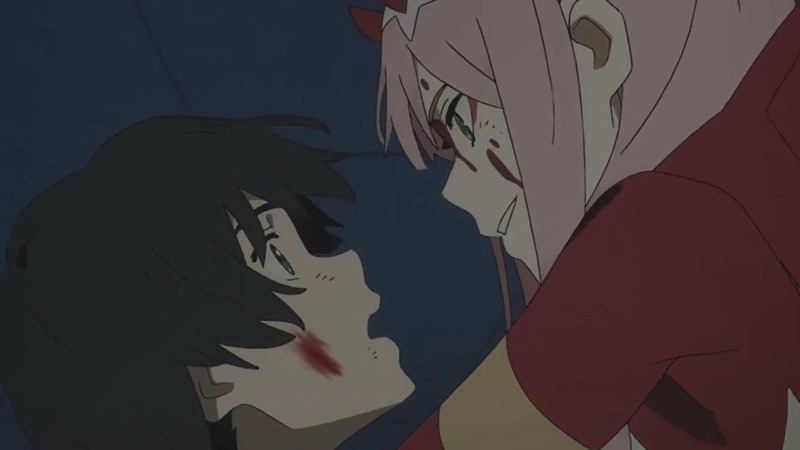 However, just as he was about to be cast aside, he meets a mysterious girl with horns that is a Franxx pilot dubbed The Partner Killer. As both of these series were made by Trigger, you can expect a few similarities. Darling in the Franxx is probably the more unique series in terms of mecha. However, they are both good old monster fighting mecha series featuring boys that don’t remember their pasts. After disappearing for 13 years, the deadly Heterodyne aliens resurface with a vengeance. In order to combat them, three office workers end up operating Dai-Guard, a robot that has long since been a big paperweight. Can these salary men really save the world in such a junker? 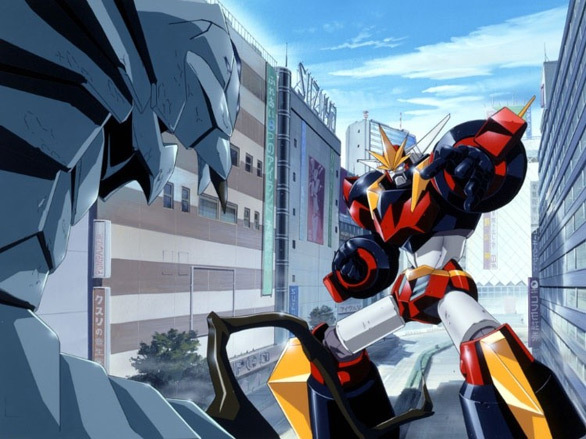 Kaiju fighting is a classic mecha trope, but if you want something classic but light like Gridman can be, then Dai-Gaurd is the perfect option. It is usually more comedy than anything else, but like all good old school mecha, it maintains a good balance of laughs and action. While digging around in his underground village, a young boy named Simon uncovers a mysterious object that turns out to be the ignition key to an ancient artifact of war. When their village comes under attack, Simon and his daring adoptive older brother Kamina use this weapon to fend off the invaders, discovering that there is a whole surface world above them in the process. With the sky now in plain view, Kamina and Simon set off on a journey that will take them across the galaxy. 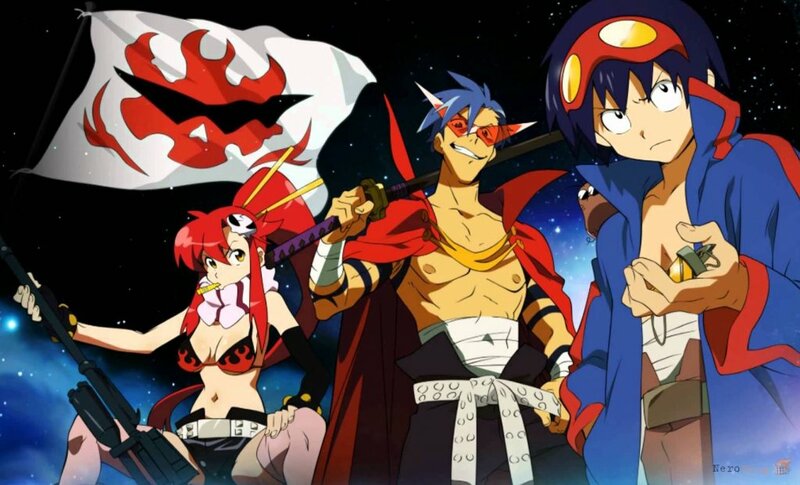 Although Gurren Lagann captures old school magic though often what is more parody, but it still captures the same feel. Both shows follow young kids that end up finding their destiny through a mecha. However, Gurren Lagann has more manly chest beating. In Paradigm City, everyone seems to have forgotten their pasts after a calamity 40 years ago. 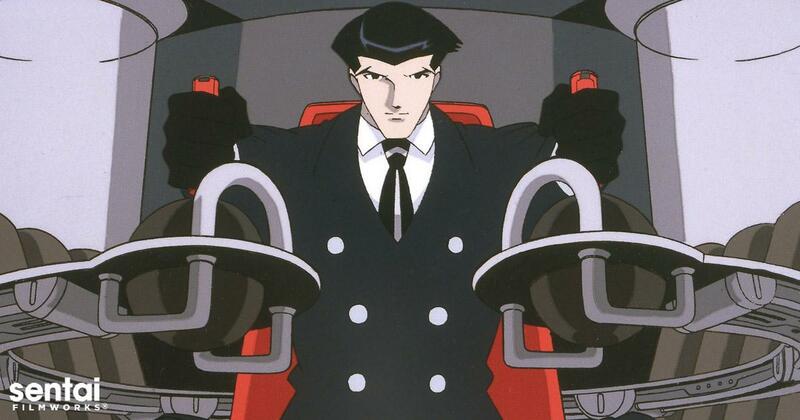 To break the literal and metaphorical fog over the city, suave negotiator Roger Smith must save others from crime and peril with his words and his mysterious jet black mecha, Big O. 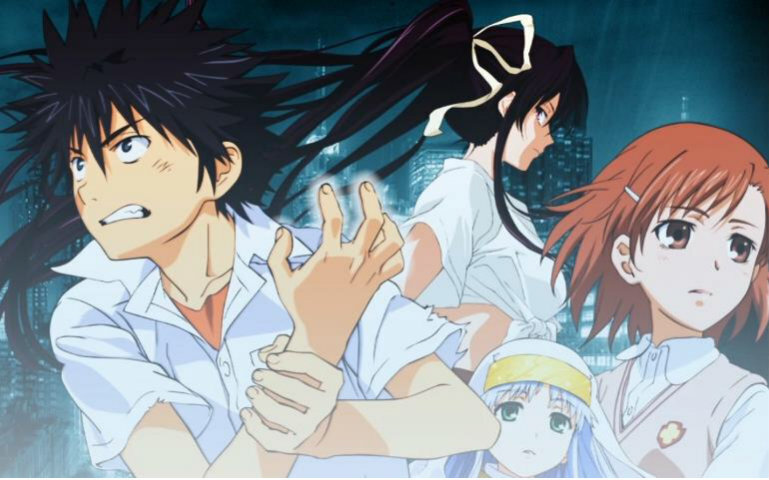 Both series are mecha shows about a mysterious bout of amnesia that affects the whole city. While it doesn’t keep resetting people in Big O, it does make them forget their pasts. However, Big O is a bit more serious and often kind of a downer. If you fancy your main characters with amnesia and a destiny they don’t know about, then A Certain Magical Index is a good watch. While it isn’t a mecha show, it has plenty of beautifully animated sci-fi action to make you forget. However, the plot can be a little more difficult to follow. While constructing a local dam, a mysterious artifact was discovered. Intellectuals around the world gathered at the United Nations Kurobe Research Institute to study it. However, one day a mysterious samurai from the past awakens and recognizes the head researcher’s daughter, Yukina Shirahane. 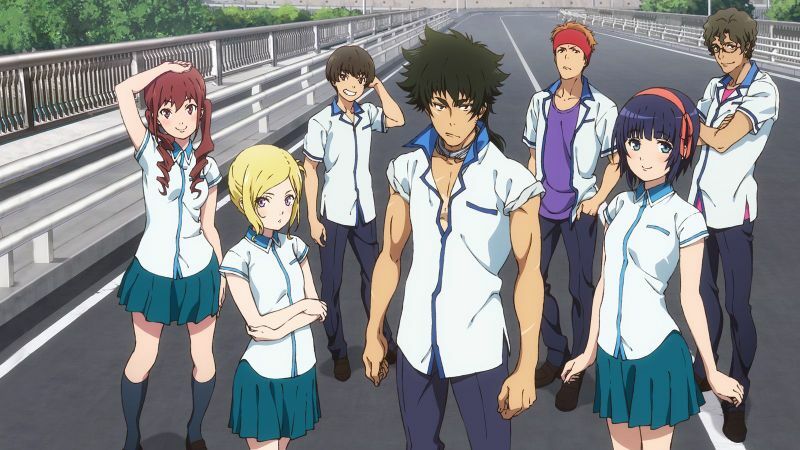 While Kuromukuro isn’t so much about amnesia, it is a mecha show about a main character realizing their destiny. It is slickly animated and an absolute joy to watch just like Gridman, but aimed at an older audience. Do you have any more anime recommendations like SSSS.Gridman? Let fans know in the comments section below.